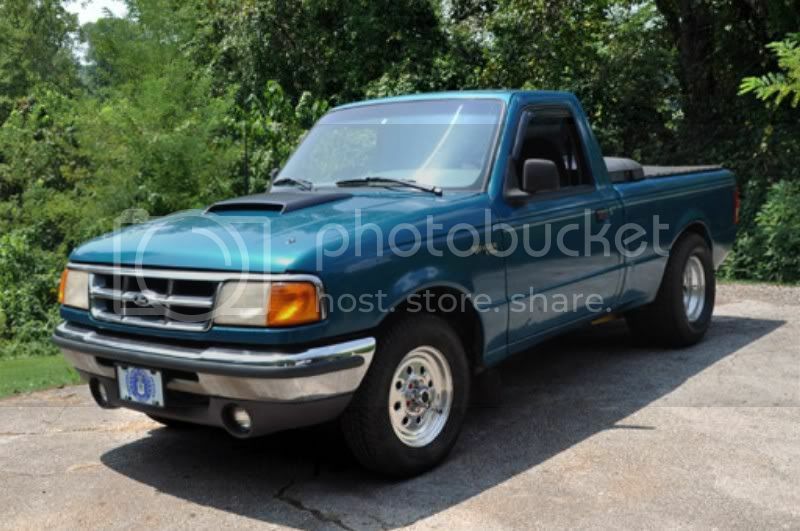 Discussion in '1993 - 1997 Ford Ranger' started by Osgood, Oct 24, 2012. Looking to do something completely unique with a project Ranger I'm possibly getting, and am reaching out to those of you who view projects like this with an open mind. Purists need not apply on this one. I have been into Pontiacs for many years now, and have aquired a spare motor that needs a home. It's a mid 70's 400 and has been warmed over nicely. 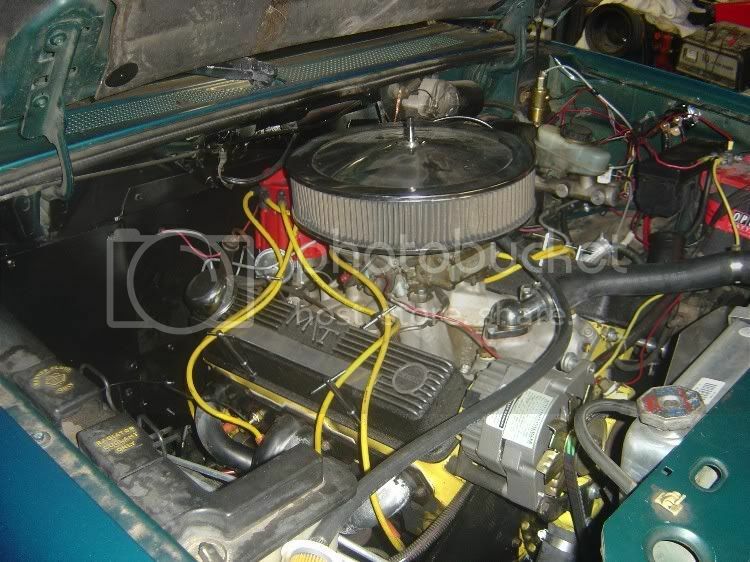 I've been contemplating a very radical swap of placing this engine and a Tremec T5 into the little Ranger. It is a two-wheel drive single cab Splash model, and I think it would be one heck of a torque monster with this motor. I am planning on ditching everything computer/electronic with this project, and keeping it simple (non-EFI, ABS, etc). Anyone done anything along these lines? I've posted on the Pontiac boards, and have gotten a few ideas, but mainly praise for not shoving a Chevy in it, haha. Thoughts on this one? This would be merely a toy (obviously), and kind of a hot rod/street rod type project. Rear end wise, I would be leaning towards a 9 inch or at the least, an 8.8 out of an Explorer. Thought I would add that, too. Thanks! That should give you some ideas. Different forum, I know.. also, its a 350 SBC, but you get the drift. I've seen this truck in person several times, heard it run and smelled the tire smoke. Its a badass machine. Thanks for the link! I wonder though why he used a motor plate up front rather than fabbing or modifying a set of motor mounts to mount it? I might have to contact him, too. I am getting excited for this! Black truck in the link above is on the back burner at moment due to personal issues. My green 94 is sittin outside for room in garage to build my new motor and then to decide what its goin into. As for motorplate, its personal choice & easier way to mount IMO. The BIGGEST obsticle will be headers & steerin shaft. I test mounted my BBC (Mcpink seen it), and I had less than 1" of room between my steerin shaft & my exhaust port, way to tight even for custom headers. Only way to clear headers would be to knuckle the steerin shaft a couple times and not sure I want to do that. Steerin safety isn't anythin I want to mess with, but may haveta check with couple Dirt Track guys I know & see if their expertice helps. Thanks for the reply, 360Ranger. Always nice to hear from THE source, haha! Very envious of your work, honestly. Your green truck has the stance and look I am hoping to achieve with my little project. What does it run at the track? I'd be curious to find out how well it hooks. Thanks again to everyone. So far, I've not had anyone call me crazy..........yet. 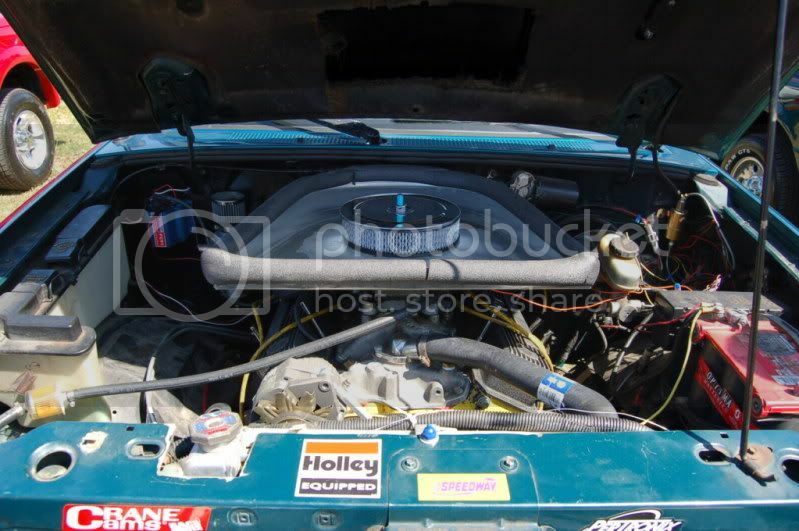 Question about the engine bay: did you strip it out basically? There are a lot of electronics mounted here and there and everywhere inside, and I was curious as to see what you kept and what you tossed. I am not going to run AC, so will be fabricating a block off plate for the firewall if that is possible. I think without all of that clutter under the hood, it ought to have plenty of room! I didn't yank the whole underhood harness, but did cutout the engine, & puter trunks off the main. Then I tested each wire to see if it was dead, came on with switch, or constant hot, and then used them as a source for other things. Gets the job done though, regardless. Pontiac motors are a little smaller dimension wise than Chevrolet's, so I'm thinking I might have a little more wiggle room, but we'll see. I'll bet that truck surprises a lot of people, eh? and he BULLETTS down too it, lookin all over & under it. Never asked who's it was, talked to me or nothin before he left. I was kinda like, "Ok....guess he didn't like it". That was so weird.. but we got the fuel pump in.